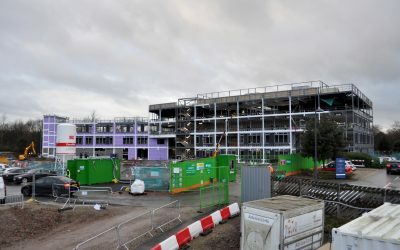 We are a new 11-18 secondary school opening in September 2019. Register your interest for a future place at our brand new school. For state students it hasn’t always been a level playing field, until now. We are unashamedly academic with a reputation for the relentless pursuit of excellence and a determination to ensure that every child succeeds. Building work is progressing well! Building work began in May 2018 – for more updates visit our News section. 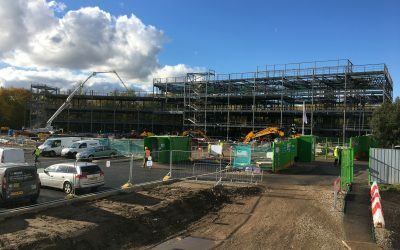 We are very excited to welcome you to Didsbury High School, a brand new secondary school opening in September 2019, and a member of the Laurus Trust family. Our sister school, Cheadle Hulme High School, is an outstanding and hugely oversubscribed academy with a reputation for the relentless pursuit of excellence and a determination to ensure that every child succeeds. Didsbury High School will embed the same vision and values through our partnership and aim to deliver the same outstanding education. 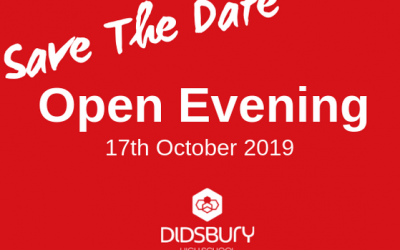 This is a unique opportunity for your child to be one of the first cohorts to secure a place at Didsbury High School, with the prospect of going on to study at the school’s Sixth Form. Our website is designed to give you a taste of what is coming and to keep you up-to-date on our progress as we prepare for our doors to open in September 2019. Please follow this link to register your interest and to find out how to apply for a place. Registering your interest will ensure that you are kept informed of up and coming open events and any other important admissions information.